The Roger Bacon Academy’s Deputy Headmaster hired as the new Virgo school principal. LELAND, NC: April 10, 2012 – The Roger Bacon Academy Deputy Headmaster for Charter Day School’s middle school, Eric Irizarry, has been hired as the principal for the newly reconfigured D. C. Virgo Preparatory Academy for the New Hanover County Public Schools according to founder Baker Mitchell. “We congratulate Superintendent Markley for his good judgment in picking an outstanding young administrator to lead Virgo,” said Mitchell. “Eric has been with us since he interned here at the Leland campus back in 2008; and while we are sorry to see him go, we think that with the proper support he can do a great job for the Virgo students,” Mitchell added. “We have great administrators and teachers at The Roger Bacon Academy charter schools and an upward career opportunity is a factor that always attracts top people,” Mitchell explained. “What often gets overlooked with public charter schools are the additional jobs they create in the education sector.” The vacant Deputy Headmaster position will be opened up to both internal and external applicants. 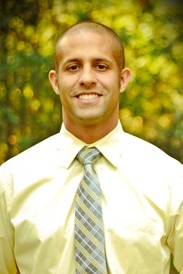 Eric finished his Master’s Degree in School Administration from UNCW in 2009 and has held titles at Charter Day School as Director of Operations, Dean of Instruction and most recently Deputy Headmaster. Since 2008, Eric has also been the co-founder and Curriculum Director for the Hillcrest Reading Program – an after school reading program for economically disadvantaged inner-city youths that utilizes instructional methods taught at The Roger Bacon Academy. Public charter schools were created with a mission to help the entire education system share new and innovative methods of educating students in North Carolina. In 1996, charter schools were ratified in North Carolina to “increase learning opportunities for all students” and “provide different and innovative teaching methods.” In October 2011, The Roger Bacon Academy was asked to present a plan to the New Hanover County School board to become the management company to operate Virgo as a charter school. Despite the fact that the school will not be a charter school, the changes at Virgo show that co-operation between charter schools and traditional public schools is a step in the right direction towards accomplishing that mission. The Roger Bacon Academy schools are tuition-free, open enrollment K-8 public schools in southeastern North Carolina. Since 2000, The Roger Bacon Academy has focused on quality education and is a premier performance-driven year-round school. The schools have built a reputation for dedicated and highly qualified teachers that give students a strong and proven academic foundation. The Roger Bacon Academy schools have received numerous awards, including the designation of being a Top-25 School for Academic Growth and of Excellence in the state of North Carolina.